When I began writing this after 21 hours “on the road,” I felt my experiment was going very well. Comfortable for a couple hours in the car driving, two hours on my feet in a car museum, and a long walk for dinner and back. The past year I have been studying and studying Road Scholar booklets, pulling out trips that interested me, but nothing has compared with the 11-12 unique trips, learning adventures, that I have taken. One trip interested me, five days in Saratoga Springs learning the history of the resort and springs, and touring around. But I studied the itinerary in detail and found I had done more than half the things on their list (Gary graduated from Skidmore, and five years ago lived a couple months here, and I visited) And, with my knowledge of the history of the area, and summer resorts, I probably could give their lectures. Solution – make my own trip, stay in the same historic inn, and do what I had not yet crossed off the list. Sorry for the long intro – jump to images if you wish. Tuesday I headed across Vermont on Route 9, and once crossing into New York State, turned right on Farmers Inn Road to “backroad” the rest of the way. Get your maps, I crisscrossed over hills to NY 22, headed north a tad to follow NY 67 west at Eagle Bridge. Big antique center on the corner – lots of stuff, exorbitant prices – and nothing entered the van. This route to Mechanicsville follows a river and rail line, and as a result Johnsonville and Schaghitcoke are old (but very small) industrial and rail centers. 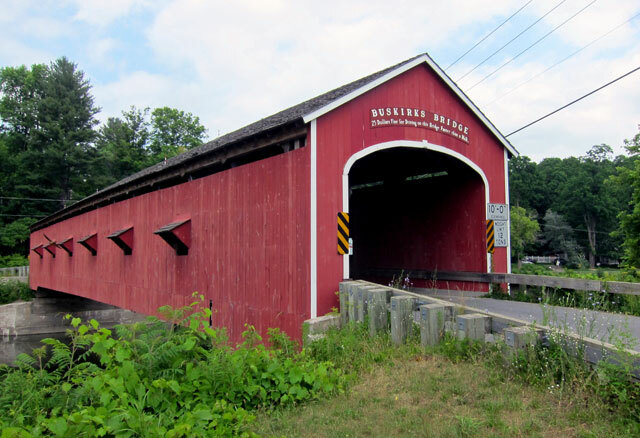 I turned at a historic sign to the Buskirks Bridge, and had to share the unique window coverings with you – probably to keep water off the bridge decking, but provide light. Crossing the Hudson River at Mechanicville, I turned north on US 4, not having been that far south on the road before. 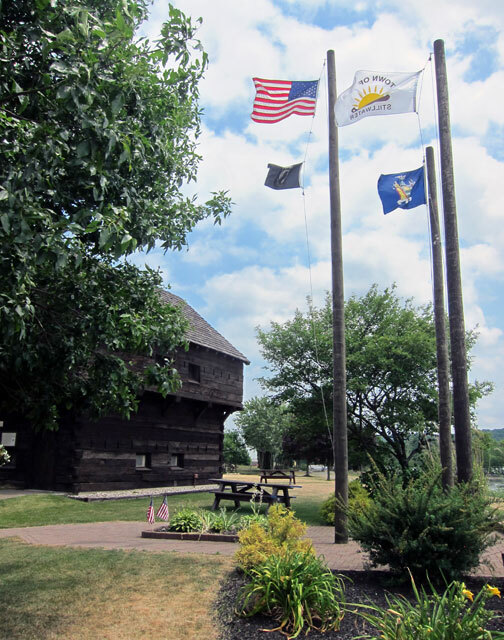 But, arriving in Stillwater, NY, I realized that I had traveled south that far when I visited Gary 5 years ago because there was the Blockhouse on the Hudson. Closed, but I did see it on my last visit. Originally built in 1927 as the original visitor center for the Saratoga National Park, it was moved here in 1999. Worth a stop if traveling past when open. (remember, on my smaller images you can click to enlarge). Continuing north on US 4, I turned west on Route 29 for Saratoga Springs. On the way I stopped at the National Park to clarify some questions I had. grounds was the spring water bottling plant, completed in 1935. Life changes, as we know, and with waning public interest, the spa began its decline in the 1960s. It became a state park in 1962. 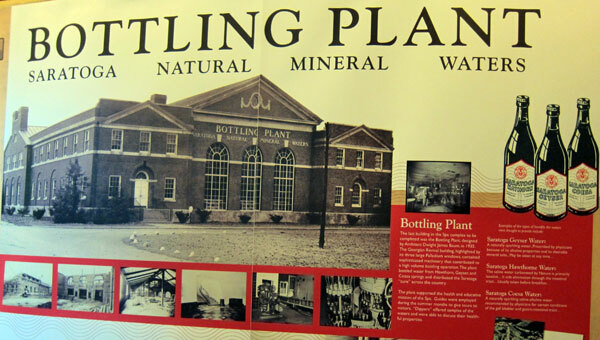 In 1971 the bottling plant closed and became storage. 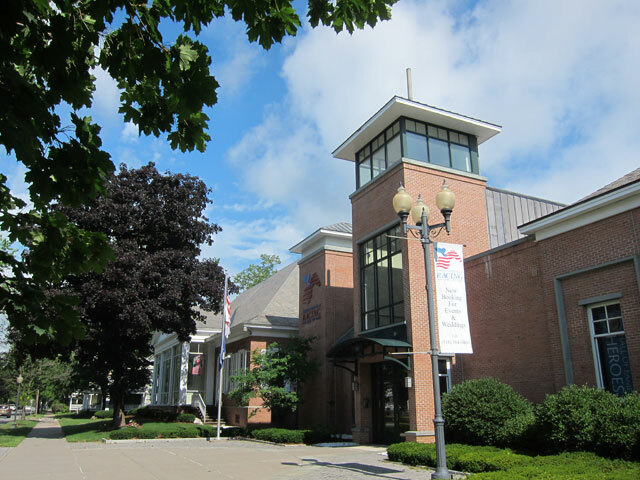 In 2000, the state leased the building to the Saratoga Automobile Museum, founded in 1998. The museum’s doors opened June 1, 2002. A small museum, but worth 2-3 hours if auto history is of your interest. 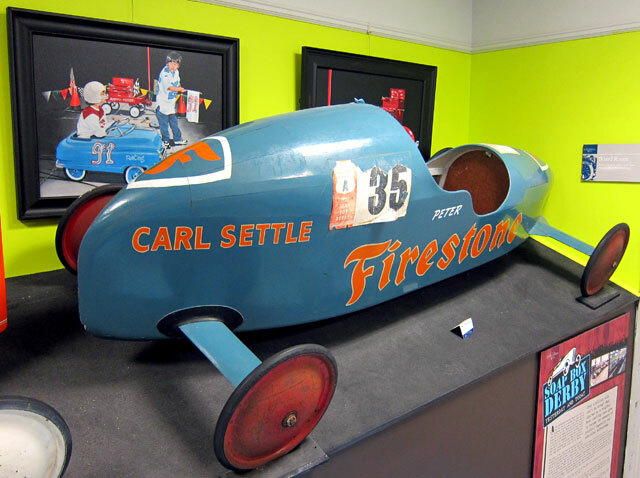 The current special exhibit is on Sam Posey – a fascinating man: artist, author, auto racer at Lime Rock and elsewhere, and on and on. 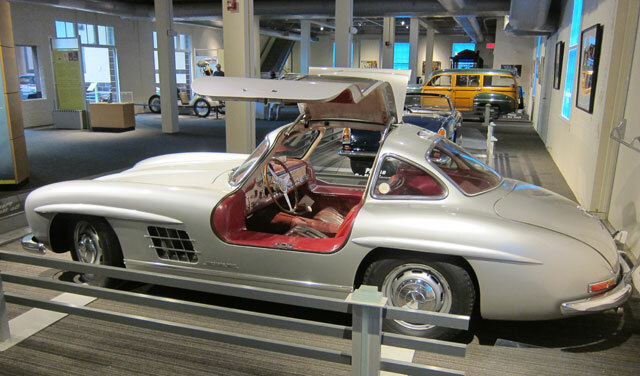 Here is his 1954 Mercedes-Benz Gull Wing. In the corner of the first floor (you can see it sticking up to the top left of the image above) is one of my favorite things, and was I thrilled to see it preserved here. 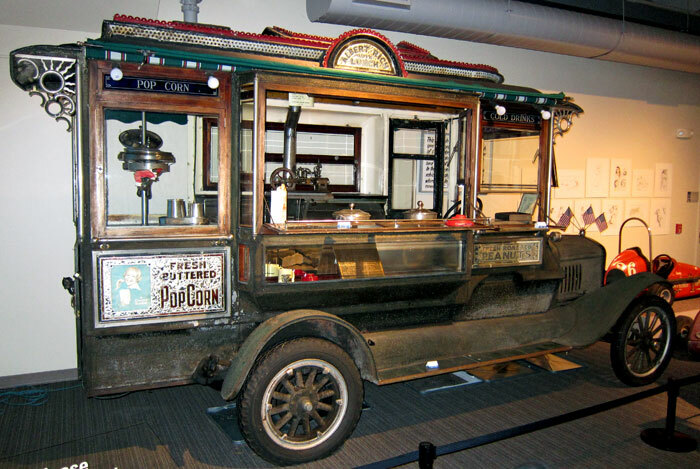 For decades I have visited the Rich’s Model T Ford Cretors Popcorn wagon on Route 22 in Cambridge, NY — and here it is!!! Specially made for Rich in 1925, when he died his daughter still operated it until her death. It went into storage in 1997, and the museum obtained it in 2007. You know me with popcorn wagons, so bear with me (you can open the gallery for larger size images). In conjunction with the Sam Posey exhibit there were additional race cars. 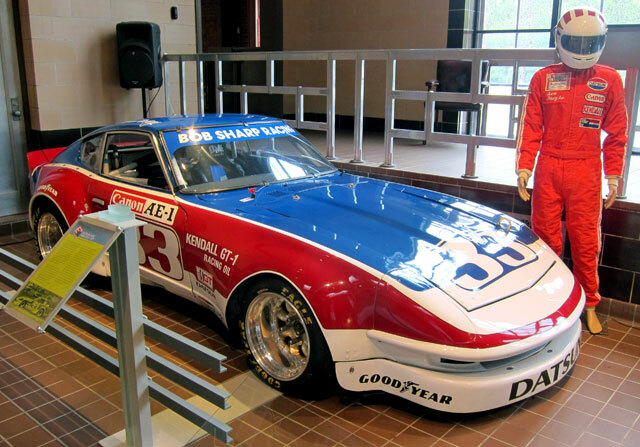 Upstairs are two permanent exhibits: East of Detroit (autos made in New York); and, Racing in New York. 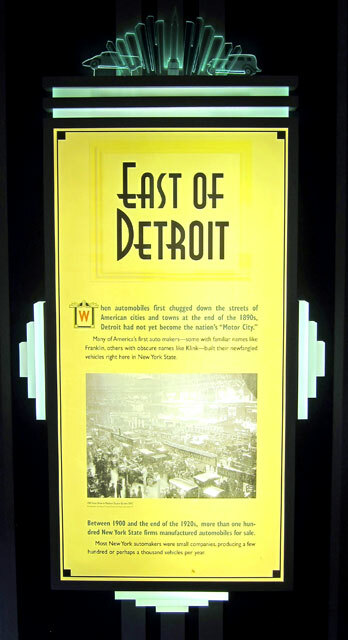 I loved the history in the East of Detroit exhibit. Great history, and brought back some memories, for example, the Maxwell was built on the river in Tarrytown, New York starting in 1903. From 1918 to 1996 General Motors assembled vehicles there (the plant you can see north of the Tappan Zee Bridge). In the late 1950s or early 1960s my Dad’s car club had an exclusive tour there which I remember. This 1928 air-cooled Franklin was made in New York. Charles A. Lindberg courted his wife in this car. Learning that Henry Ford wanted the car, Lindberg had it mechanically checked, and drove it all night from New Jersey to Dearborn, MI, in 1940, to give it to Ford for his museum. Also built in New York was the Piece Arrow. 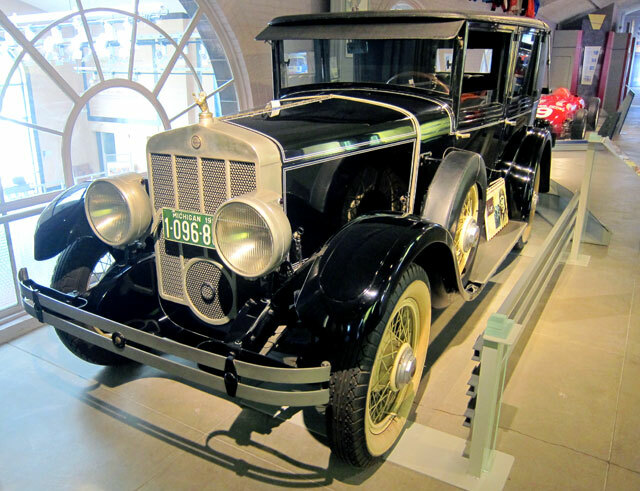 This 1931 model below shows headlights in the fenders, but I will always remember that it was in 1913 that the Pierce Arrows was the first car ever to have headlights built into the fenders. Why will I remember? Thank you for asking. In 1957, I was on Giant Step, a kids TV program hosted by Bert Parks. I missed out on “a free college education, and upon graduation a world-tour” provided by General Mills. The question I did not know the answer to? 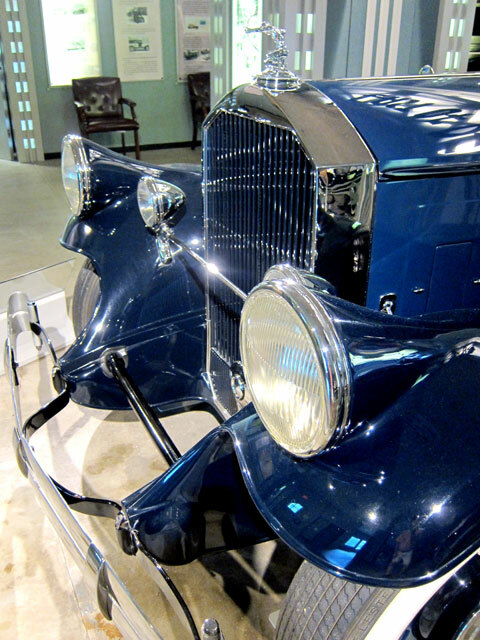 What was the first car with headlights in the fenders? I did not win top prize, however, I am pleased with how my life worked out – no regrets. Of course, like every pre-teen I wanted to enter the Soap Box Derby race. Never did, but I did take some old buggy wheels, attached them to 2x6s, built various bodies, and raced (albeit slowly) done Partrick Lane, and a bad hill and blind curve on Nod Hill Road in Wilton (now straightened) just below the now Weir Farm National Historic Site (where I used to play, and one time in the barn, one of the caretaker’s kids just missed me with a pitchfork – oh, the silly games kids used to play, and survive). The racer below was the best built in 1951. Back in the racing exhibit were more vehicles Posey raced, and this one that said Bob Sharp Motors. I knew that name, and was correct. Bob Sharp was from Wilton and built a car dealership on Route 7 (which you know is my favorite road in the US as you get further north). There was a great Ferrari, Alex remind me to send you the pictures. 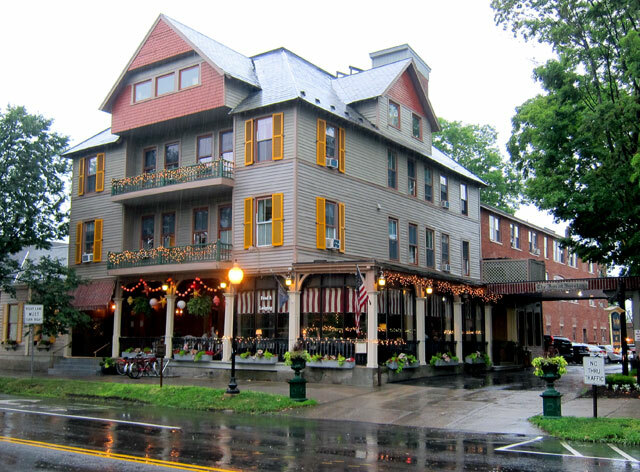 Closing up the museum, it was time to head to my home and porch for the next two nights – The Inn at Saratoga. My room is the 4th and 5th windows on the second floor from the corner. I walked downtown to the main shopping and old hotel area. 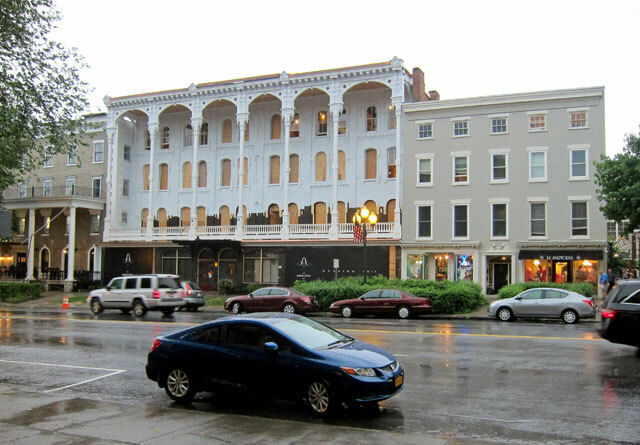 Sadly the old hotels from the 19th century resort days are gone, but one – The Adelphi Hotel, is being redone. Looking through a doorway – it is all new inside, only the facade was original. Wednesday – the plan: The National Museum of Racing and Hall of Fame right across from the racetrack; then, Grant’s Cottage, finishing at Chapman Museum in Glens Falls. I opened the racing museum at 10AM and spent almost two hours there. Pretty good for not really having an interest in horse racing, but the history and cultural aspects of the sport both in Europe and the US since Colonial times was fascinating. No pictures allowed inside unfortunately. Steeplechase is an early term dating to about 1750 as I recall when horse races were run in Ireland while keeping the church steeple in view. I found the sections of US history during different periods fascinating – a cultural way of life for the upper crust so to speak. Upon leaving I mentioned my frustration at the desk (as I have to do so often) that the history on the placards in all the galleries should be assembled in a booklet so people like me can carry that history and knowledge home. Especially since I could not take images of those placards either. 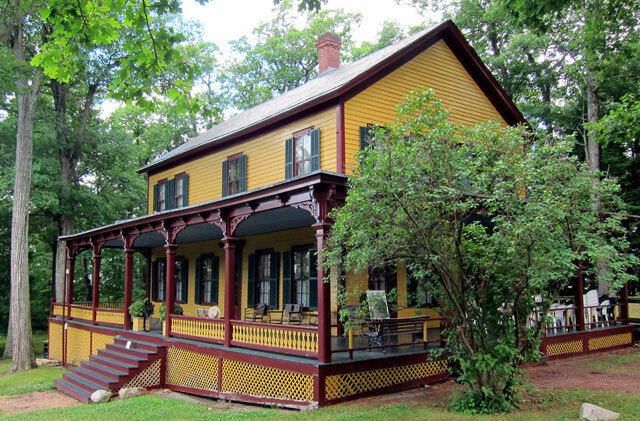 But now the best of the best – original history from 1885, as it was then, and unchanged, knowledgeable docent, and in-depth history of the times – Grant’s Cottage in Wilton, New York, about 8 miles north of Saratoga Springs atop Mount McGregor. Wow! What I learned about Ulysses S. Grant, our 18th President, and the General who won the Civil War and reunited the nation, making the United States. I bought three books in the gift shop, have read them, thus delaying this post. RAY RECOMMENDS – Visit Grant’s Cottage, not once but often, I am going back. Grant spent the last 6 weeks of his life, finishing his memoirs here for Mark Twain to publish, and died here. The cottage and its furnishings are essentially unchanged since July 23, 1885. And that lack of change is due to an unusual string of long term caretakers (read, SAVING GRANT COTTAGE by Steve Trimm). Atop a mountain, this cottage was the original hotel, which was moved down from the peak for the building of the 300 room Hotel Balmoral in 1881 by Joseph Drexel from Philadelphia. In 1884, Grant was diagnosed with throat cancer, and suffered total financial ruin (I will let you discover that fascinating story, much of which is in a book I bought at the museum shop and read, GRANT’S LAST BATTLE by Chris Makowski). As the summer of 1885 arrived, Grant was encouraged to leave New York City for a healthier environment. Drexel offered his cottage on Mount McGregor, which was accepted. Twain was working with Grant, who was penniless, to finish his memoirs, offering the majority of the profits to Grant so he could provide for his wife. Grant finished his two volume memoirs, dying three days later. Twain paid royalties to Julia Grant of over $450,000 – $11 million today. I could go on and on, I learned so much, but let me just give you a slide show (remember to click on an image to open to larger sizes) and ask you to read and learn more about Grant. Kevin is holding an illustration of the “bed” which actually folds out from a cabinet. Grant’s son stopped the clock on the mantel when he died – 8:08 AM. Two of the floral arrangements sent for the funeral at the cottage. The flowers were removed, preserved with wax, and replaced. Closeup of the local GAR (Grand Army of the Republic) post arrangement. Did I say, visit GRANT’S COTTAGE ??? 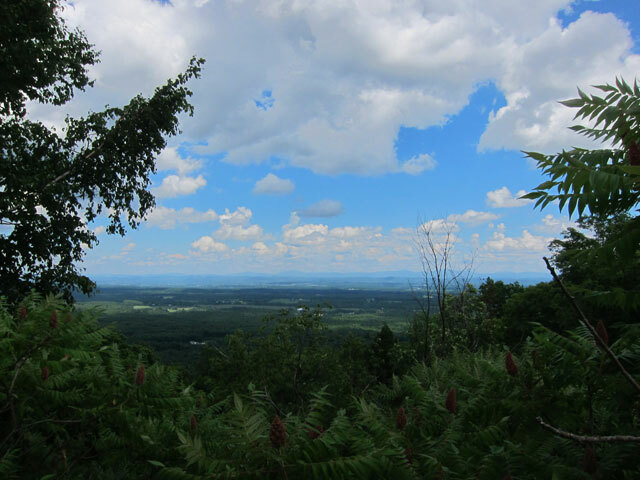 Then I walked to the top of the mountain, around the fence of the prison that was closed in 2014 to take this view looking east to Vermont. Behind me would be the closed prison’s ball field. In an earlier life this was a veteran’s rehabilitation home, and even earlier a sanitarium. Currently for sale by the State of New York. No, I no longer need a new project, although tempting. I then headed to Glens Falls to visit the Chapman Museum hoping to learn more of the earlier history of the area, but sadly, that was not the focus of the museum. Don’t take the time to visit. The Hudson River begins in the Adirondack Mountains but becomes larger finally, and makes its last southernly decent in Glens Falls and Hudson Falls. What I was thrilled to discover was the Feeder Canal dug in 1822 from this point to the Champlain Canal which runs from Lake Champlain to the Hudson River. This small canal provides needed water for the Champlain Canal to operate, but also opened up the area for industry in the 19th century. 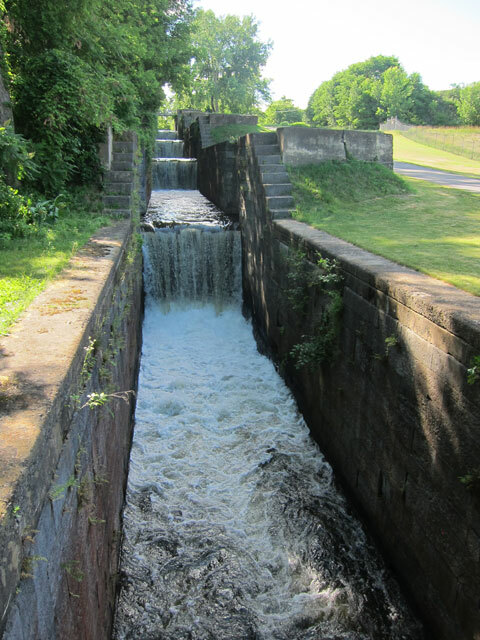 Close to the Champlain Canal is the remains of a fleet of 5 locks rebuilt with sandstone in 1834. By now you know that I am fascinated also with canals, and what they did for the development of industrial and commercial America in the 19th century. 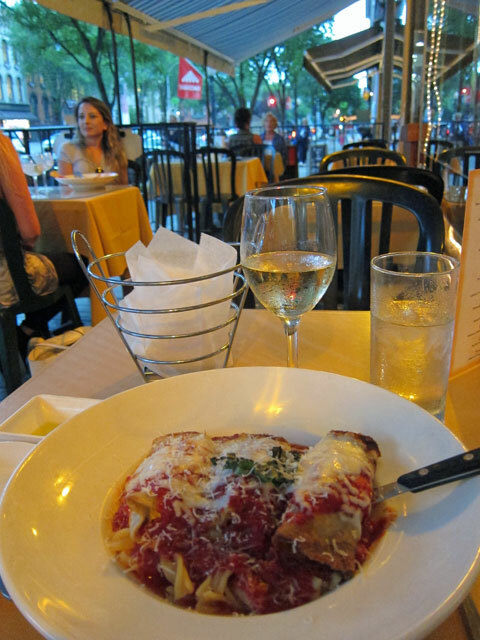 It was then back to the Inn at Saratoga, reading and wine on the porch, dinner, and more reading. Thursday. Believe it or not, everything is not always perfect for me. The plan today was to get to Rogers’ Island in the Hudson River at Fort Edwards, which I have been trying to experience for almost 20 years – always I was there the wrong day or wrong season. Before leaving I read, from my history book collection, ROGERS RANGERS AND THE FRENCH & INDIAN WAR by Bradford Smith. A Landmark Book (#63) published in 1956. Great reads for juveniles, but also for adults like me who desire an easy overall understanding of a person or event. I finally got a good grasp of the French and Indian War and Robert Rodgers’ exploits. I arrived before the 10 AM museum to see posted: “SORRY, CLOSED TODAY DUE TO A DEATH IN THE FAMILY.” I wonder how many days or weeks that sign has been up. 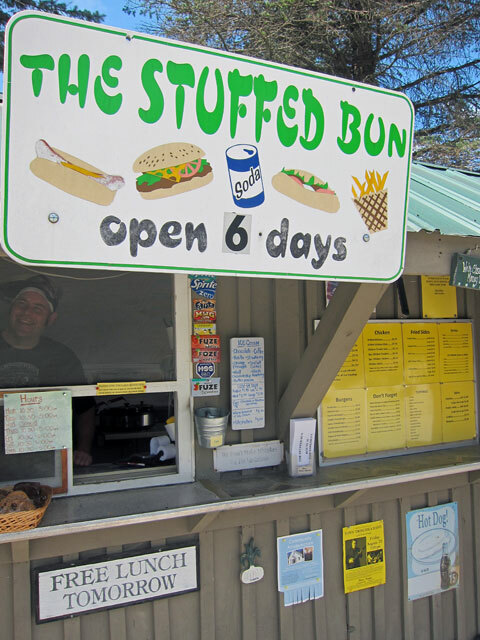 Remember my visits to THE STUFFED BUN near Townsend, Vermont, for my “Free Lunch Tomorrow?” Tomorrow never seems to come. Well, I do not get upset – what does that prove? So My next stop over the bridge was to be The Old Fort Museum, also opening at 10. I misread ! On one spot on their website they referred to something at 10AM, but the museum opened at 1PM – too long to wait, so I just wandered the grounds. I then discovered Lock 7 on the Champlain Canal at the south end of Rogers Island, and had a lovely visit with the lock master. I complimented her on her graciousness, and she said she could enter “public relations time” on her time sheet. Did I tell you I like canals and locks? Looking south on the Champlain Canal to Rogers Island. Lock control house and gears. And a small boat locked through. Guess what — the plan was to meander back roads home to Rupert, Vermont, Dorset, Manchester, Londonderry, Chester and home. I was maybe five hours ahead of plan, but I was ready to get home, and loved arriving home to “work” and ENJOY. This entry was posted in 2016-a SARATOGA SPRINGS and tagged Champlain Canal, Feeder Canal, Glen Falls, Grant's Cottage, Inn at Saratoga, NY, Saratoga Automobile Museum, Saratoga Spa, Saratoga Springs. Bookmark the permalink. Wow! Your energy is inspiring Ray! Glad your recovery is going well! You should be the go to history person everywhere!